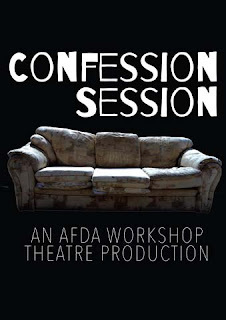 Confession Sessions is hilariously witty and one of the most entertaining productions I have had the pleasure of watching. 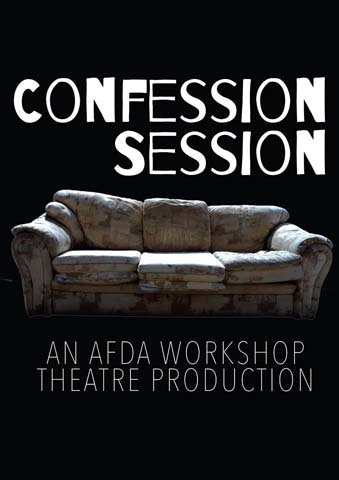 It is produced by AFDA Cape Town and forms part of their Live Performance honours programme. Directed by Megan Furniss, the show features four actors who are at a crucial stage in their career formation. The production was workshopped together as a team and the storyline is based on three modern-day superheroes and an out of work sidekick, each with a unique superpower that is used to tackle the facts of human nature, politics and their own personal circumstances which unfolds as a puzzle that fits together perfectly. The show features Trent Rowe as Sidekick Si, Melanie Aiff as Butterfly Effect, Thabang Mufamadi as Memoir and Motheo Madisa as Rasta. The characters are immaculately forged and the actors play their main characters as well as smaller supporting roles. Together with hilarious monologues and a backdrop of minimalist theatre, the four created a space that took their audience through a roller-coaster of emotions and you might even see some of yourself within the many characters.